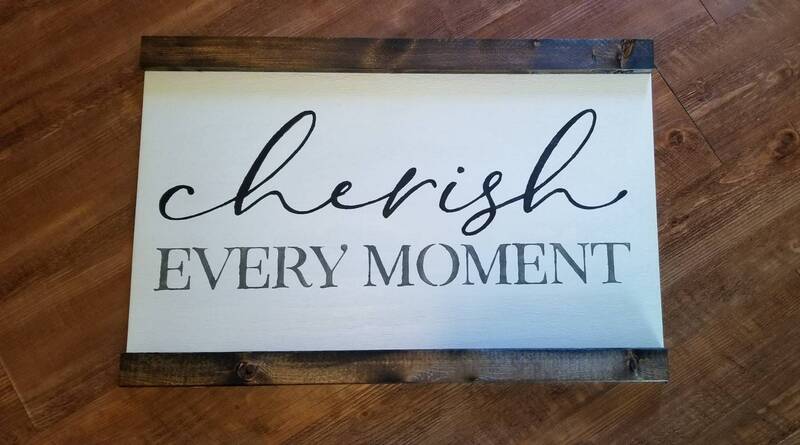 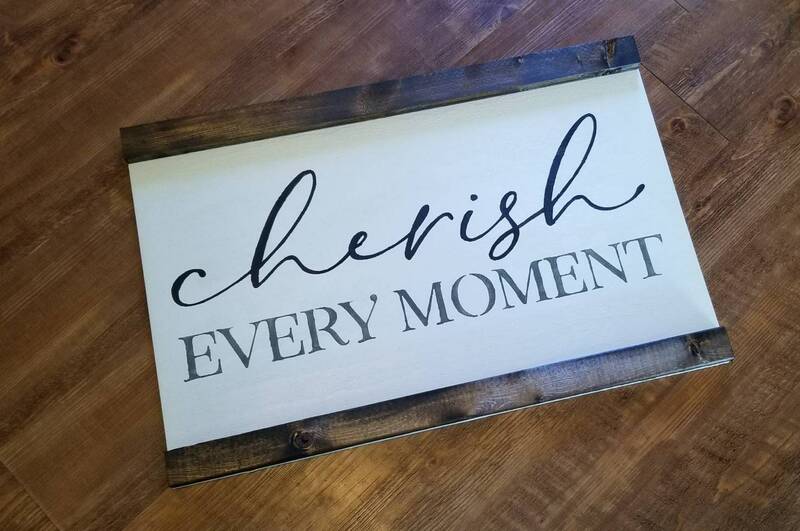 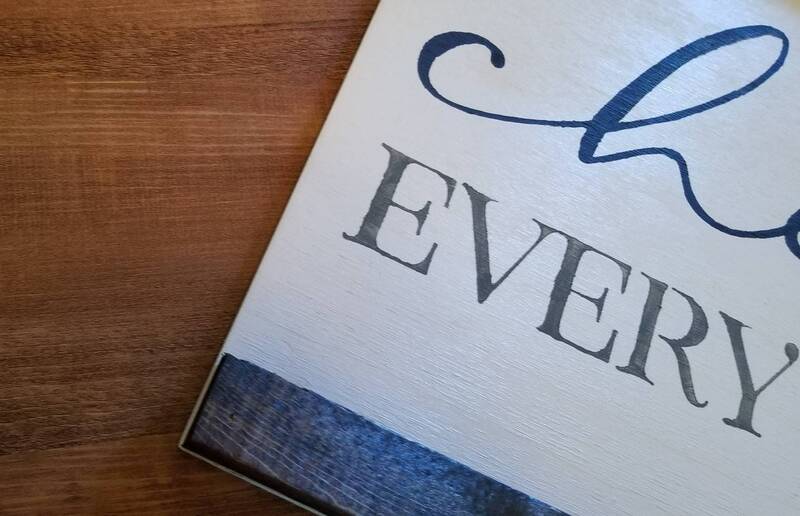 Cherish Every Moment Wood Sign! 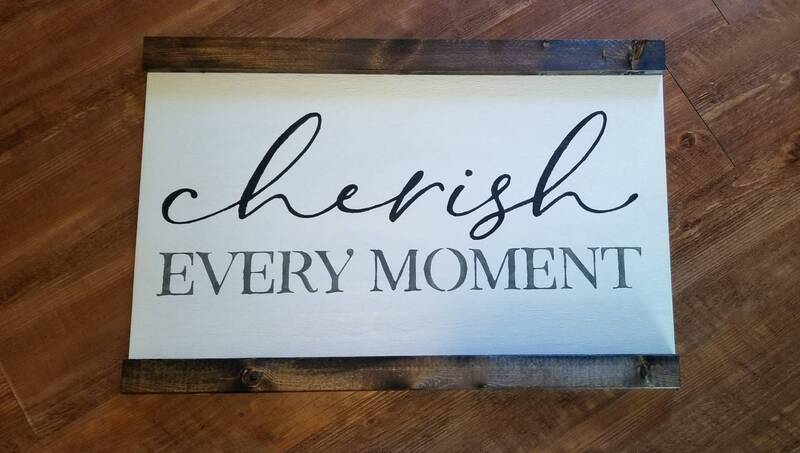 Background is painted white with black and grey painted wording. 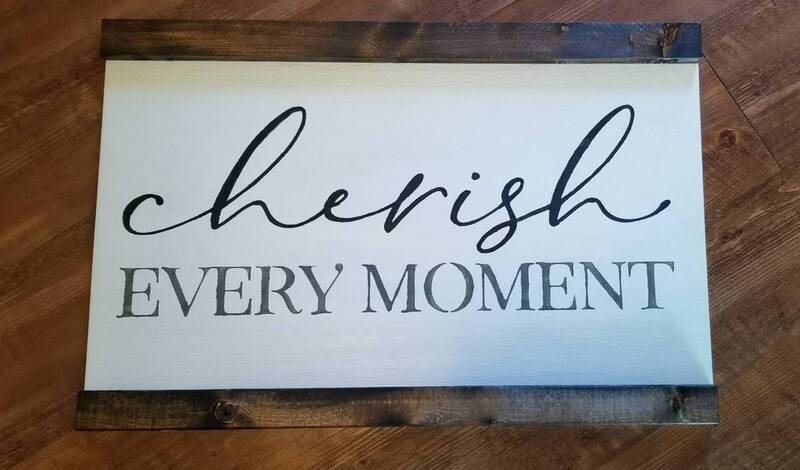 The sign hangs on the wall by the back of the frame.